Many people who put together an estate plan do so when they start a family - assuming they put an estate plan together at all during their lifetime. While putting an estate plan together is a good thing to do, the best thing to do is to make updates once the plan has been created, based upon key life events. To make sure your wishes are followed in the event of your death or incapacity, below are nine life decisions or events that should get you thinking about updating -- or creating -- your estate plan right away. Having a child: While adding another member to your family is an exciting time in your life, it is not an excuse to forget to update your estate plan. A new child necessitates major revisions to your estate plan. This not only affects who will inherit your estate upon your death but will also require you deciding who will be the guardian of your children if you should die before they become adults. As your child grows and matures -- and more children are added -- your estate plan will likely continue to change. Planning based on your life stages is important because your circumstances over the years will surely change. 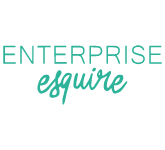 If you have any questions about estate planning -- or have had to make a recent big decision in your life -- contact Alexis Hart McDowell of Enterprise Esquire to learn more about your options. Schedule a FREE 15 min. consultation today!